I was hanging out with Lorajean the other day, labeling Knitted Wit yarn and fiber, because that’s how we roll. She was looking for something to feature at TNNA’s Sample It in June. I offered to re-work my Filigree scarf into a shawl, using her Shine merino/tencel yarn. Game on! This is a nice way for me to be present at TNNA since I can’t go this time, and a pretty way to highlight Shine. 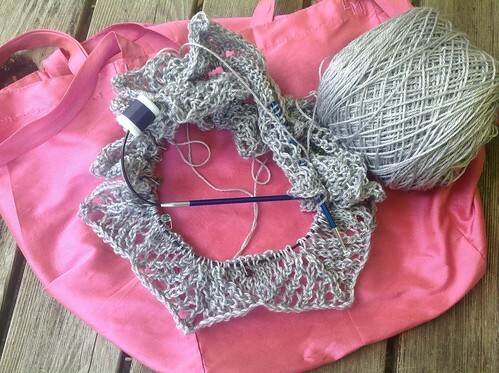 I’m knitting this in Knitted Wit Shine, colorway Silver Lining, which feels very appropriate for Filigree. In this picture from yesterday I’m 2/3 done with the lacy border, but in real life I’m way past that. I’m halfway done with the short row (no wraps!) crescent shaping. I should be finished tomorrow, and then I can block and measure, and update the pattern. 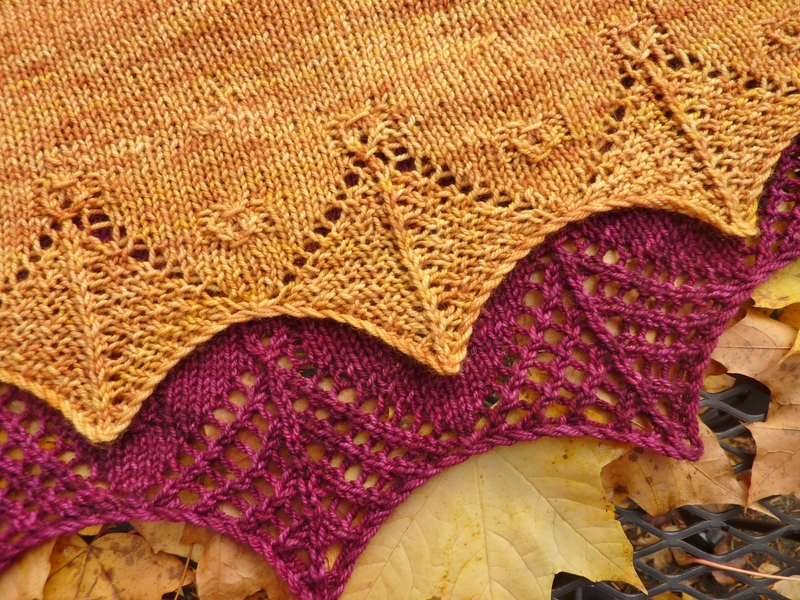 Right now the pattern for Webfoot and Filigree Scarves includes both lace edgings. It’s a little confusing for linking on Ravelry. I’m planning to separate this pattern into two patterns, one for each edging. Each pattern will have instructions for shaping a long shallow scarf and a deeper, more traditionally shaped crescent shawl. If you’ve already purchased this pattern through Ravelry by the time I issue the update next week, you’ll get both the Webfoot and Filigree pattern updates as two separate patterns. What else? More flowers are blooming in the garden. 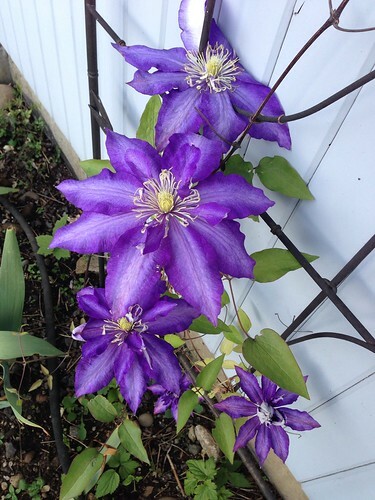 The clematis on the trellis on the front of my house is very happy this year. 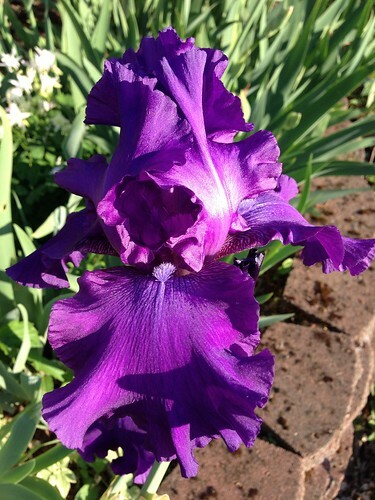 The first iris opened two days ago. The purple ones bloom first, and the yellow ones will bloom soon after that. 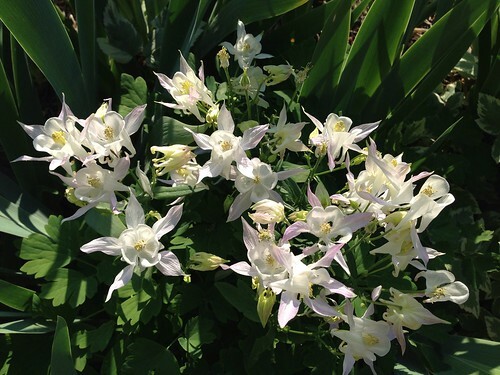 This columbine self-sowed itself into the bed of irises. I don’t mind. By the way, this thing? OK, back to knitting! I want to finish this Filigree Shawl, and I also want to swatch a couple things to take to Amy Singer’s class on Saturday. Did you know Amy Singer of Knitty fame is coming to Portland? She’s doing three classes for Twisted on Saturday: Random Cables, Making the next Monkey (what makes a great pattern), and All About Knitty. There’s still space if you’d like to come. Call Twisted to register. This entry was posted in Knit, pattern design, travel, yarn and tagged alligator, gardening, Sample It, scute, TNNA. Bookmark the permalink. Beautiful lace shawls and scarf. I really love LJ’s new line of yarn. The color choices are amazing. The blossoms are spectacular. Cool short science bit. 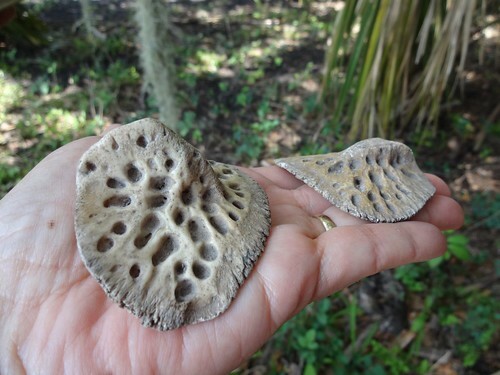 Never know about alligator’s scutes. That’s really awesome. Your souvenir from Florida?? I am so bummed I can’t be in Portland this week for Amy’s lecture. Have a blast and I look forward to your write-up on the experience. You taught this Florida girl something! Did you get to keep the scutes? The flower pictures are beautiful! 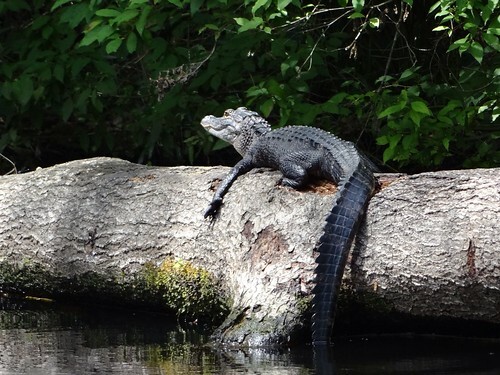 No, the scutes belong to Captain Bill. They were pretty cool, though. It must have been a pretty big gator! Yellow irises are budding. They always come after the purple ones! 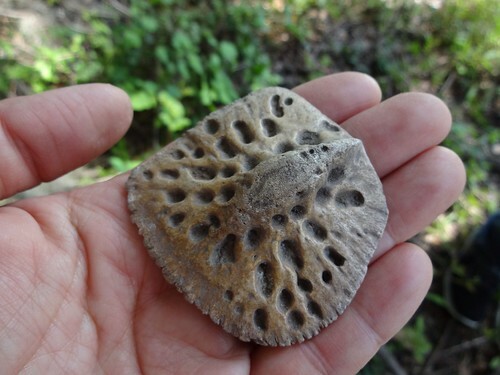 I thought the scutes were some kind of mushroom at first! How cool.